UAE rugby exposure taking huge steps forward with agreement. UAE Rugby Federation and Dubai Sports Channel have signed an MoU to promote the game of rugby across the UAE. Using the programmes and initiatives from UAE Rugby’s portfolio, Dubai Sports Channel will work together with the Federation to create localised rugby content which will be televised throughout the broadcast footprint of Dubai Sports Channel. “We are very pleased to enter into this MoU with Dubai Sports Channel” said Qais Al Dhalai, UAE Rugby’s Secretary General. “Rugby has a long and successful history in the UAE and we are thrilled to be involved and oversee it’s continued growth. We are also very happy to see the growth, both in participation and interest, from the Emirati community. "Together, Dubai Sports Channel and the Federation will work towards creating, producing and televising quality local rugby stories which will be enjoyed by all nationalities living in the UAE” he added. Rashid Amiri, Director General of Dubai Sports Channel commented, “Dubai Sports Channel are proud and happy to enter into this MoU. Buoyant mood: Qais Al Dhalai. Qais Al Dhalai believes the re-introduction of expatriates to UAE sevens rugby will provide Emirati players with the “winning spirit” to succeed in the future. 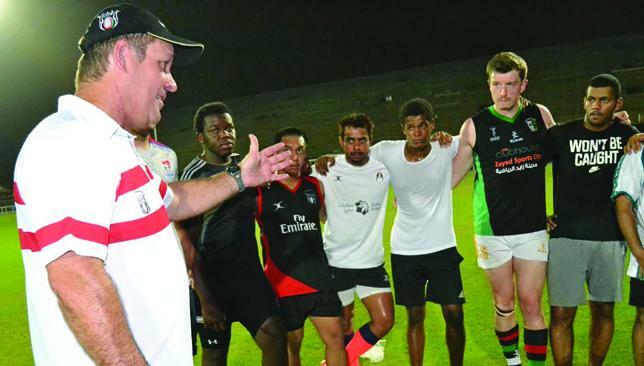 Roelof Kotze, the UAE national team’s performance manager, announced last month that he was bringing back expats into the sevens fold after the UAE failed to qualify for the 2016 Olympic Games in Rio de Janeiro, where sevens rugby will make its debut. The UAE Under-20 side play two tournaments this month, in Malaysia and Hong Kong, while the senior side will appear at the Shanghai 7s and Colombo 7s in September and October respectively. Al Dhalai, the secretary general of the UAE Rugby Federation, believes elite expat players will help local players progress as he looks ahead to the 2020 Olympics in Tokyo. “The 2016 Olympics is the past for us,” Al Dhalai told Sport360. “We have not reached them. For the next Olympics in 2020, the board has decided we will have a mix of the top expatriate players. Those expat players will bring a winning spirit. International Olympic Committee and Olympic Council of Asia regulations stipulate that countries appearing in any event at the Olympics must feature players with passports from that country. Expats would not be able to feature at the Olympics in the case of the UAE qualifying, but Al Dhalai says they can enhance the development of Emirati players and therefore their prospects of featuring in sevens at a future Games. 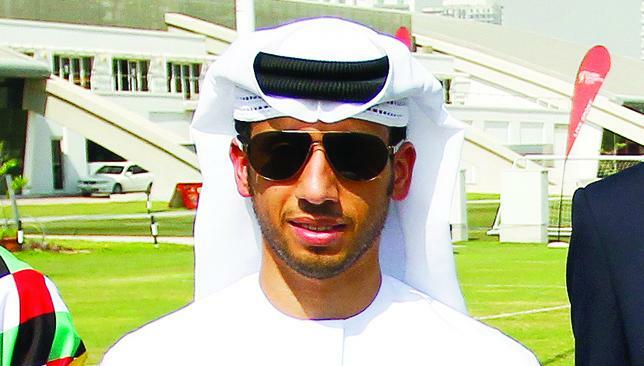 “The ultimate goal is the sevens team should be all-Emirati,” said Al Dhalai. UAE’s Roelof Kotze (l) gives a talk to the U-20 national team players during training. Roelof Kotze is confident his youngsters can bring home a medal from one if not both of the two legs of the Asian RFU Under-20 7s. Kotze, UAE rugby’s performance manager, saw his team finish sixth out of seven nations on their last tour of Asia in December. But he is upbeat about his young charges finishing on the podium in either Malaysia or Hong Kong this time around. The UAE travel to Johor Bahru for the first leg of the ARFU U-20 7s series on August 15-16 before the second leg a week later in Hong Kong between August 21-22. Kotze says he has made up his mind about his final squad and will discuss it with the national team committee today, an official announcement expected at the end of the week. At the UAE’s final training session before the team is announced at 7he Sevens last night, the South African said he believes his men have improved greatly in the last eight months and should go into the double header with confidence. “We were sixth in Hong Kong but we want to get on the podium this time,” said the 45-year-old. “We won’t be as dark a horse as we were in Hong Kong. The mistakes we made are relatively easy to fix and should stop us from losing games we shouldn’t. The U-20s have been training in Dubai for a few weeks and Kotze admitted he has been pleased with what he’s seen. “I’m starting to feel a bit more happy, the boys are starting to gel and understand what I want them to do,” he said. A mixed UAE U-20s side performed admirably in Hong Kong eight months ago and Kotze admits he will use that as a yardstick to measure his team’s improvement in that period. The UAE won two of their seven games in Hong Kong but three of their defeats were by just two points. Kotze sang the praises of his youngsters, who he said have worked hard in recent weeks. “I’ve only asked one thing of the boys and that’s to work hard. It’s been hot and it’s been unpleasant but they’ve given their all and I can’t ask for anything more than that,” he said. “I always say I’ll take guys who work hard and give their all than good guys who are arrogant and think they’re better. “I’m old school like that. I don’t have a place for those sorts of people. This isn’t soccer, we don’t do prima donnas.